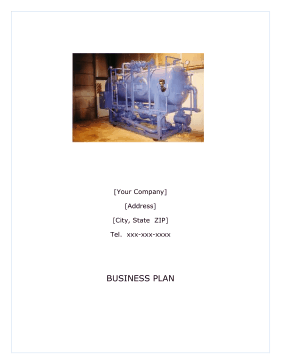 This free, printable business plan covers the basic outlines, summaries, market strategies and charts needed to start a welding enterprise that provides package boilers and hydric units within the business world. [Your Company] LLC plans to become the leading provider of package boilers and hydronic unit services in the area. This means always having the best and most efficient facilities, processes, and people. To achieve this, [Your Company] is investing in many ways that will pay off in competitive advantages for its customers. [Your Company] is a [Your State] Limited Liability company, with principal offices located in [Your City], [Your State]. [Your Company]'s management is highly experienced and qualified. Mr. [Name] leads the management team with over 18 years of experience in the construction industry. [Your Company] has developed sophisticated boiler and hydronic unit solutions for some of the most complex construction projects being done today. The [Your Company] system can be adapted to almost any construction requirement that calls for forming. The company's expert staff has the capability to design and manufacture any custom component or accessory item that may be required to complete the boiler and welding package. Owners, developers, construction managers, general contractors, and subcontractors will realize substantial savings in labor and material costs by using structural contours construction methods, systems and equipment. The company plans to rapidly develop marketing alliances with industry leaders and pursue new sales of its services to commercial builders. The market strategy is to capitalize on [Your Company]'s alliances by securing city, county, and state and federal government contracts. [Your Company] plans to use a direct sales force, relationship selling, and subcontractors to reach its markets. These channels are most appropriate because of time to market, reduced capital requirements, and fast access to established distribution channels. The purpose of this plan is to attain grant funding in the amount of $547,000 in order to purchase supplies and equipment, launch an advertising campaign and pay for new employees. 1. Achieve sales revenues at an impressive increased year each year of operations. 2. Achieve a customer mix of 30$ commercial/60% residential building contracts per year. 3. Expand operations to the surrounding nearby counties in order to service more customers. The mission of [Your Company] is to provide quality service at competitive pricing. [Your Company] is a [Your State] Limited Liability company, with principal offices located in [Your City], [Your State]. [Your Company] is a privately owned limited liability corporation equally owned by [Name], [Name], [Name] and [Name]. Each owner has 25% share of the company. [Your Company] will be a woman operated business.